We are happy to offer a 10% discount to all CUPE members for full audiological assessments with a valid CUPE membership card. Here at The Audiology Clinic Edmonton, we provide hearing services in a relaxed, comfortable clinic with medical professionals who specialize in hearing loss and hearing protection for all ages . Our experts will help you and your family find a solution using the latest technologies at an affordable price. 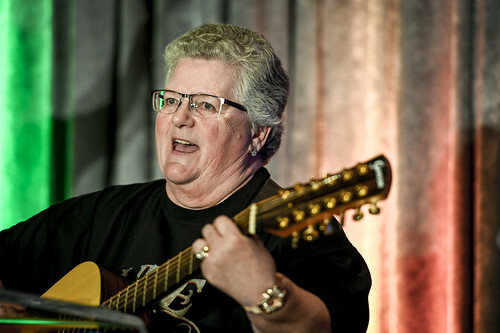 Our services include hearing assessments, hearing aid fittings (all age groups), hearing aid follow ups, hearing loss prevention, musician ear plugs, and custom-made hearing protection. We are located on the main floor of the Good Samaritan Society Building (8861-75 Street NW, Edmonton). Ruhee Kassam, M. Aud., R. Aud. 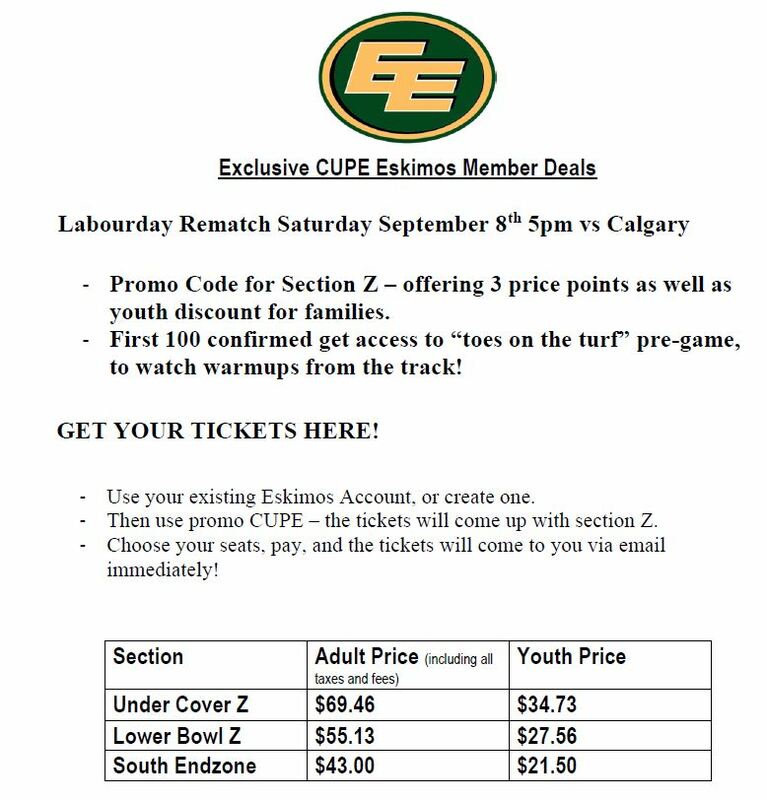 Experience VIP CUPE service at Leibel Insurance Group with exclusive access to multiple CUPE member savings. With a local Workforce since 1981, we’re Albertans insuring Albertans, so we understand your needs. We make sure you get the best insurance coverage while experiencing superior service. Click here to learn more! You’re Our Priority: With pressure free and commission free insurance brokers, we have your best interest at heart, not the insurance company’s. You’re Supporting Local: We are Alberta based with offices in Edmonton and Calgary and support our province by hiring local brokers to serve you. You’re in Control: With multiple markets, you’ll get to choose the coverage and price that meets your needs. You get Direct Broker Access: You’ll work with a dedicated broker with a direct line or face to face. This means no more waiting on hold at a call center and speaking to a different person every time. 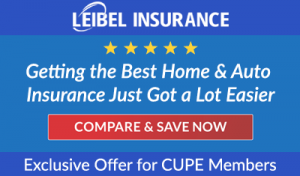 You’re Giving Back: With every new policy sold a portion goes back support the CUPE with Leibel Insurance scholarship program. You Save & Benefit: CUPE members receive savings on their insurance premiums, plus the additional benefits of free financing, preferred partners savings and much more. Check out our Google reviews and find out why Albertans choose Leibel Insurance. Insuring everything from Autos to Zambonies, if you have it we can insure it. 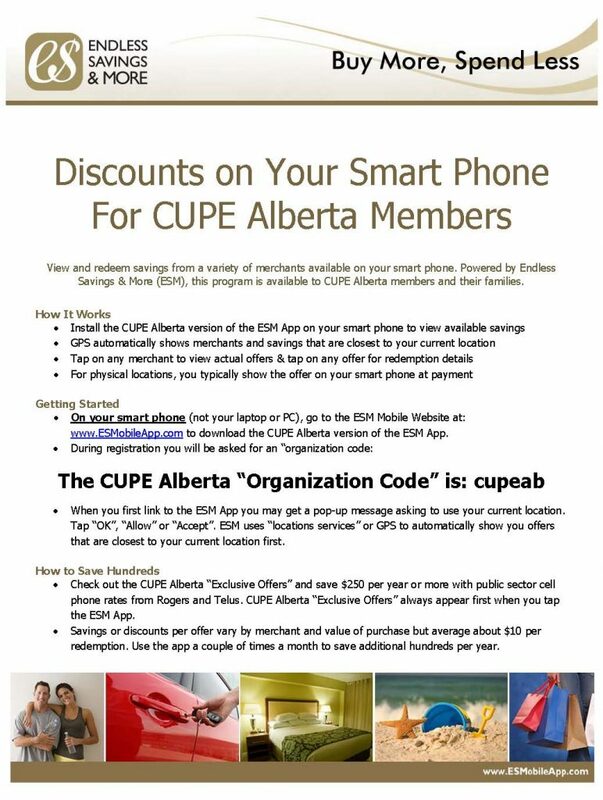 Visit us online at www.ligroup.ca/vipcupe or call our VIP CUPE line at 1-844-VIP-CUPE (544-2873). Call today for your VIP Experience! 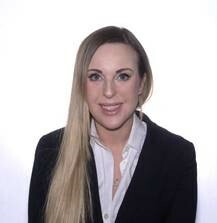 Claire Spicer is an associate lawyer at Kiriak Law Office in downtown Edmonton, practicing family law. She is currently taking new clients. 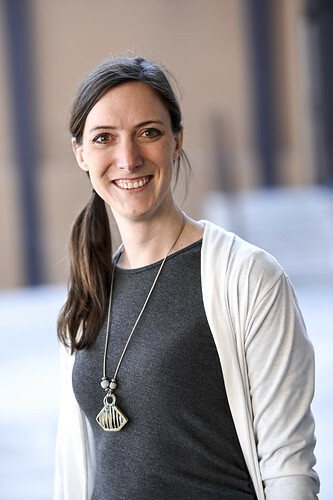 Claire is passionate about helping clients resolve their legal issues, and would like to extend a 15% discount on her services to CUPE members. Please call or email Claire to book a free 30 minute consultation. 15% discount on any training package. 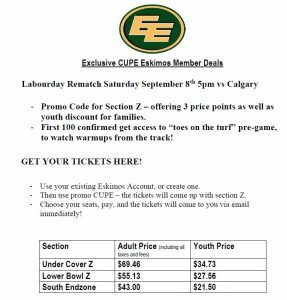 Ongoing for CUPE members and families. Personal training locations: your home, your office, city gyms or other preferred location. 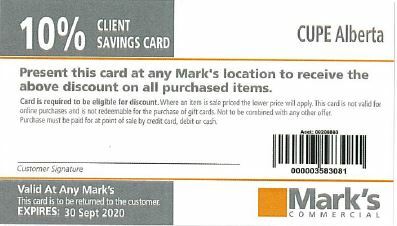 To use the Mark’s Commercial Pay-As-You-Go Account card, simply show the card at any Mark’s store to receive a 10% Discount off the regular retail price on the items on the card. The card must be shown for benefits to be applied. In the event of an item being sale priced, the lower price will apply. CUPE members would receive discounts of between $500 and $1,500 per vehicle, from Mercedes-Benz Canada, depending on the model. Member savings 10% off best available rate, subject to availability. Together, The Personal Insurance Company and the Canadian Union of Public Employees give you access to exclusive group rates and customized coverage on home and auto insurance. Whether on the road or in your home, we offer options to ensure you get the coverage you need at the right price. 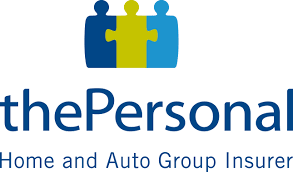 Since 1974, The Personal has been committed to providing exclusive group rates and customized coverage on home and auto insurance, and it has earned the trust of more than 700 Canadian organizations. Join your fellow Canadian Union of Public Employees members who save more with exclusive group rates and contact The Personal today. Get your exclusive group rates!